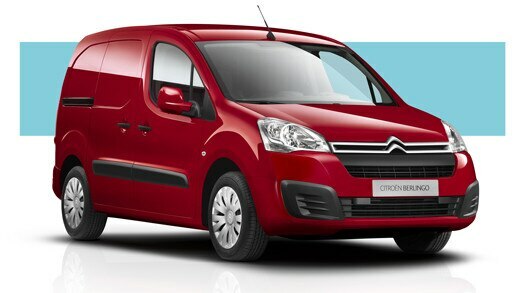 Citroën Berlingo has a wide range of shapes to meet the requirements of your business. Its expressive grille and its lines harmonise perfectly with your company’s colours, and its architecture will allow you to express all your modularity needs. Still available in two lengths: L1 &L2 versions (L1 available volume of up to 3.7 m3) and L2 size (up to 4.1 m3), Citroën Berlingo offers you an optimal loading area thanks to its smart access points: large sliding side doors and asymmetric rear doors (opening to 180°). Even with the L2 version , 2 Euro-pallets can be easily placed in the loading space. With its 3 real seats, its many storage spaces and its excellent capacity, the Extenso cab is flexible as needed. The fold-down side seat frees up a surprising amount of available length (up to 3 m for L1 and 3.25 m for L2 size) to load and transport the bulkiest of objects and accessories: rails, pipes, planks, battens and ladders. How can you make your everyday work easier? 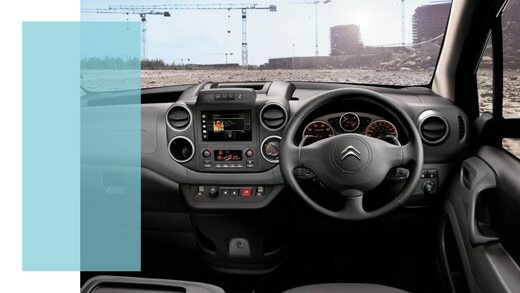 Citroën Berlingo meets your needs by useful and intuitive technologies such as Grip Control or the reversing camera that will make your business activities easier day after day. Thanks to Mirror Screen technology, the new 7” touchscreen can be used for your smartphone applications and to replicate third-party applications such as Coyote, web radios, etc. Active City Brake is an automatic urban braking system to avoid low-speed collisions. Up to 20 km/h, a sensor on the windscreen identifies a risk situation and communicates with the computer to trigger automatic emergency braking if necessary. Grip Control is advanced anti-skid technology for optimising traction in all circumstances thanks to a 5-mode selector (mud, snow, sand, etc.) according to the driving conditions. The reversing camera is displayed on the new 7” touchscreen tablet as soon as the reverse gear is engaged. Visual cues accompany you during your parking manoeuvre. All that's left for you to do is unload your vehicle!